Railway Recruitment Boards (RRB) has released Notification for the posts of ALP having 64371 vacancies on its official website rrbchennai.gov.in. Interested and eligible candidates can Apply Online before the Last Date i.e., 01-10-2018. Required details like educational qualification, age limit, the selection process of RRB Notification 2018-19 are given below. RRB Recruitment 2018-19 – Apply through Online for 64371 vacancies of ALP posts: Railway Recruitment Boards recently released a job notification on its official website rrbchennai.gov.in for ALP posts. Candidates are allowed to apply for RRB Recruitment 2018 from 22-09-2018 to 01-10-2018. Candidate can find the further details like Eligibility Criteria, Age limit, the Selection process of RRB Recruitment 2018 on the below page. Job Seekers can apply for the post through the Official page rrbchennai.gov.in and careers99.com. Interested Job Aspirants who are ready to apply for Railway Recruitment Boards 2018 Notification must possess the below-given Eligibility Details. Selected candidates will get Rs.19900/- plus other allowances as admissible by the Recruiting Organization. First of all, Open Official Website i.e., rrbchennai.gov.in or Below Mentioned link from careers99.com Website. Railway Recruitment Board Assistant Loco Pilot (RRB ALP) Recruitment 2017 | Apply Online 23,801 Assistant Loco Pilot/Technician Grade III Posts Posts @ rrb.gov.in: Railway Recruitment Board Assistant Loco Pilot has given advertisement for the recruitment of 23,801 Assistant Loco Pilot/Technician Grade III Posts vacancies in its website rrb.gov.in. www.careers99.com provides complete information on this Railway Recruitment Board Assistant Loco Pilot Recruitment 2017 | Apply Online 23,801 Assistant Loco Pilot/Technician Grade III Posts Posts @ rrb.gov.in in the following lines. Eligible candidates can apply in prescribed application format on or before 1st December 2017. Other details like age limit, educational qualification, how to apply are given below ..
Railway Recruitment Board Assistant Loco Pilot Recruitment: 23,801 Assistant Loco Pilot/Technician Grade III Posts Posts Download Application at rrb.gov.in | RRB ALP has issued a fresh Notification regarding Assistant Loco Pilot/Technician Grade III Posts Job Openings. Eligible Candidates can Check complete details by Downloading Application Through Official website rrb.gov.in | Railway Recruitment Board Assistant Loco Pilot Recruitment Selection Process, Syllabus, Age Limit, Eligibility Criteria, Exam Fee, Application Processes, Railway Recruitment Board Assistant Loco Pilot Admit Card Date, RRB ALP Exam Date, Assistant Loco Pilot/Technician Grade III Posts Result Date and Railway Recruitment Board Assistant Loco Pilot Last Date Details Given below in this website www.careers99.com. You are requested to Check before Applying Online. 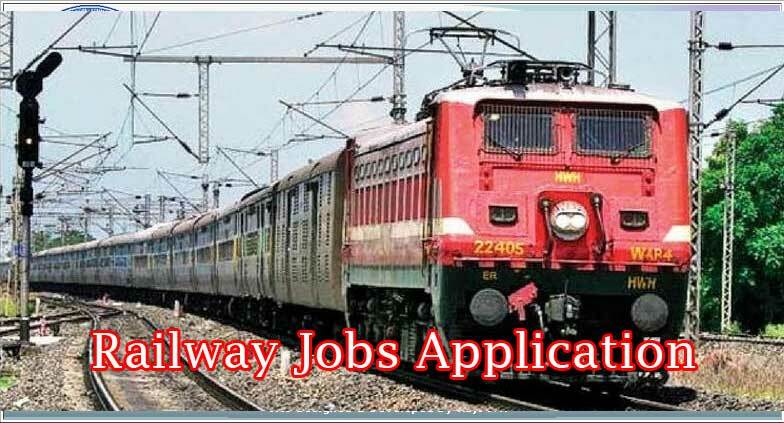 Railway Recruitment Board Assistant Loco Pilot Jobs 2017-2018 23,801 Assistant Loco Pilot/Technician Grade III Posts Posts Apply Online at rrb.gov.in | Railway Recruitment Board Assistant Loco Pilot (RRB ALP) has issued Notification 2017 regarding 23,801 Assistant Loco Pilot/Technician Grade III Posts Job Openings. Eligible Candidates can Apply Online Through Official website rrb.gov.in | Railway Recruitment Board Assistant Loco Pilot Syllabus, Age Limit, Eligibility Criteria, Exam Fee, Application Processes, Railway Recruitment Board Assistant Loco Pilot Admit Card Date, RRB ALP Exam Date, Railway Recruitment Board Assistant Loco Pilot Result Date and RRB ALP Last Date Details Given below in www.careers99.com. Check before Applying. Interested candidates those want to apply for RRB ALP Assistant Loco Pilot/Technician Grade III Posts posts must be having following educational qualifications. Candidates should be qualified the 10+2 (High School and Intermediate) from an authorized Institution/ Board. Aspirants must also have completed their Diploma in the related field from a recognized Institution/ Board.